For months, newspapers and commentators have been speculating what it would look like if the UK was to leave the EU. By now, I’m sure many of you have heard the arguments for both sides from friends, family, random passersby on the street… But when you’re stressing about upcoming exams and trying to negotiate a summer job (or post-graduation plans!) thinking about something like the 23rd June EU Referendum is probably not at the top of your priority list. Not many people really want to take time out of their study schedule or Roses cheering to attend talks on what Brexit might mean – but the impact that it could have on students should make you pause. As an international student, I’m not allowed to vote in the Referendum, and as someone from outside of the EU, the ultimate decision may not impact me all that much. So why do I care about the EU Referendum? I care because many of my friends (and perhaps many of yours) are students from outside the UK, who will be directly impacted by the vote. Perhaps you’re wondering how EU students will be impacted. Surely because they’re here studying and not working, it won’t be an issue, right? Unfortunately, that’s not likely. As it stands, EU citizens wishing to study in the UK do not need a visa. Once you’ve enrolled in a university’s course, you are able to stay in the UK for as long as your course lasts. This is not true of non-EU international students, who are required to go through an extensive (and costly; $500 USD) application process in order to simply have their case reviewed for a visa. Furthermore, EU citizens can obtain a European Health Insurance card (EHIC) from their home country, which allows them access to the free health care provided in the UK. Non-EU citizens have to pay a health surcharge (£150 per year on a student visa, or £200 a year otherwise) – and that’s per person, so if you’re a student who’s bringing your family with you, you’ll need to pay all of that upfront for the entirety of your course before you can get your visa. According to the BBC, visas may change in the aftermath of Brexit should the UK vote to leave the EU. 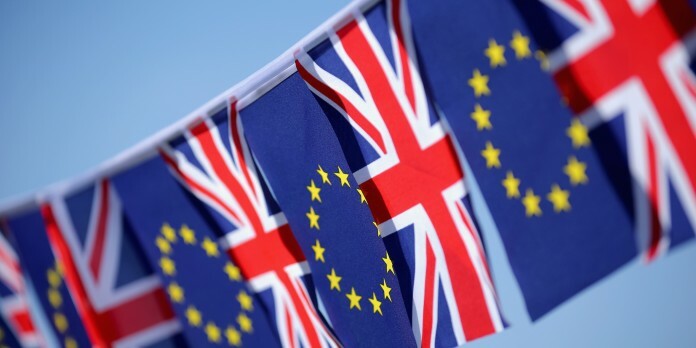 Should the UK remain within the single market, the BBC have projected that free movement rights between the UK and EU would like stay in place (meaning that EU citizens could come work in the UK and vice versa). But if the government decided to put work permits into place, as they currently have with non-EU countries, then it’s very likely that EU countries would follow suit, making it necessary for EU and UK citizens alike to have to go through the extensive visa process. And it seems likely that if work visa regulations are imposed upon EU citizens, study visa regulations won’t be far behind. One reason why the work visa regulations are favourable in the first place is that they limit entry into the UK to those persons skilled in professions where there are shortages; so if you’re not studying engineering, something in the medical profession, or ‘skilled orchestral musicians who are leaders, principals, sub-principals or numbered string positions […] who meet the standard required by internationally recognised UK orchestras (including London Symphony Orchestra, London Philharmonic Orchestra, Philharmonia Orchestra and Royal Philharmonic Orchestra)’, then you’re bang out of luck (and that was pulled directly from the Government-approved Tier 2 Shortage Occupation List). But for the moment, let’s just assume you’re in a highly sought-after field. Once you’ve obtained your visa, you just need to worry about the fees structure. Currently, EU citizens are allowed to pay the same amount in tuition as UK citizens. Looking at a course like English Literature, which is what I study, you’ll see that the tuition rate is set for a 12-month session, and the fees for undergraduates for the 2016/17 academic year are £9,000 for UK and EU students and £14,500 for Overseas students. That’s approaching twice the amount of money as UK and EU students are charged. If you think you’ll be able to pay that money back once you’ve graduated and found a job in the UK, I’ll just refer you back to the above section about work visas and bring to your attention the fact that as of last month, anyone applying for permanent residence in the UK must have an annual salary of £35,000. According to the Association of Graduate Recruiters, the average starting salary for UK graduates in 2013/14 was £29,000. Migration is a huge issue in the UK (Teresa May passed the £35,000 threshold to decrease those settling with a Tier 2 visa from 60,000 to 20,000 per year), and Brexit offers the ‘Leave’ campaign a sense of border control. With many people worried about possible terrorism and potential threats to the UK’s 5.4% unemployment rate (the argument being that if more jobs aren’t created, migrant workers may replace national citizens), it can be easy to see why the campaigns to leave the EU are quite strong. But if you’re just worried about losing the pound coin and having to switch over to the Euro, fear not – a deal with the EU secured after the call for the Referendum secures the UK’s ability to have a different currency than the Eurozone. If you’re a British, Irish, or Commonwealth citizen over the age of 18 who is a resident in the UK, you will be able to vote. Make sure that you’re registered, and you’ll be sent a card telling you when and where to vote, just like in any other election. The voting process is as simple as marking an ‘x’ in the box of your choice and popping it into the ballot box. If you’re an EU student and unable to vote, consider talking to your UK friends about some of the implications of leaving the EU from your perspective. After all, uni is the perfect time to start dialogues which will help shape the way you think.